Coiled cable in cool colors. Expands to 30 feet (9.14 meters). Oversized relaxed coils do not kink or lose shape Perfect for Guitar, Bass & Keyboards. Coiled cables were popular decades ago. 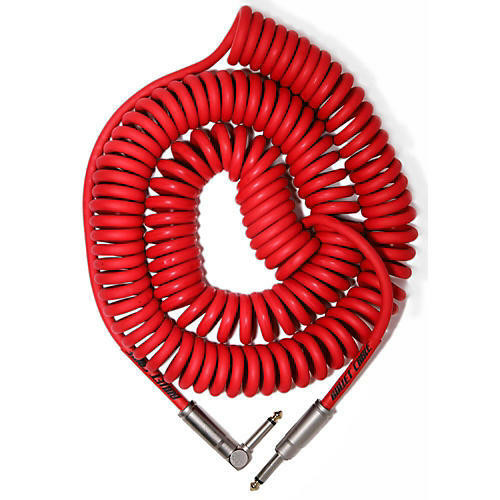 With smarter manufacturing techniques that result in relaxed coils, the convenience of a coiled cable is attractive to musicians once again. Quality coiled cable. Order today.